The interrogation of J.B. “Jerry” Manas is fascinating for anyone who has an inclination towards writing, although the concepts and advice wound through this can apply to subjects much broader than just writing. 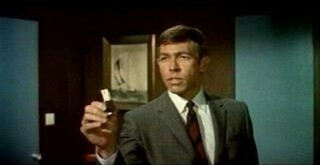 Usually, subjects of my interrogations are pliable, but it took this co-author of The Kronos Interference a little while to open up, and when he did… it wasn’t Intel we found inside, it was wisdom. We dive into Jerry’s fascination with filmmaking, travel, history and art, discussed what it takes to be a writer and many other aspects of this renaissance man, including the age old question of who the best Bond is. Agent Palmer [AP]: Born and raised in Philadelphia, why do you remain there? Is it for a job? J.B. “Jerry” Manas [JB]: Well, many Philadelphians are quite provincial and end up staying in the area. It’s close to so many things: New York City, the Jersey shore, museums, theater, malls, you name it. In my case, friends and family keep me here as well. [AP]: What impact did growing up there it have on you? [JB]: I grew up in suburban Northeast Philly. I’m not sure how it impacted me, other than I’ve been fortunate to have the opportunity to be exposed to big city experiences like theater and museums, including trips to Broadway. But I was far enough from the city to have grown up in a suburban neighborhood. If you’ve ever seen The Goldbergs on TV, that’s the area and environment I grew up in. Lots of fun memories. [AP]: Are you married? Do you have any kids? [JB]: My wife and I have been married for 25 years and we have a wonderful 13 year old daughter who inherited my interest in movies and filmmaking. So we’re taking her to a film school in Hollywood next summer. [AP]: What is your current profession and do you have any side jobs or professions? [JB]: I’m senior editor and Director of Customer Experience for a big software firm and have done management consulting for years. I’m also a business author by trade. 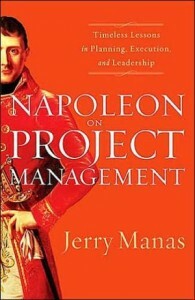 I have a number of bestselling management books out, including one on lessons from Napoleon that was pretty popular. 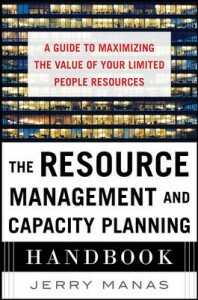 My latest is from McGraw-Hill on maximizing organizational people resources. For my nonfiction books I write as Jerry Manas, but for my fiction I use J.B. Manas to keep the brands separate. Otherwise, someone will be Googling my name looking for a novelist, and they’ll see pages and pages of business publications. 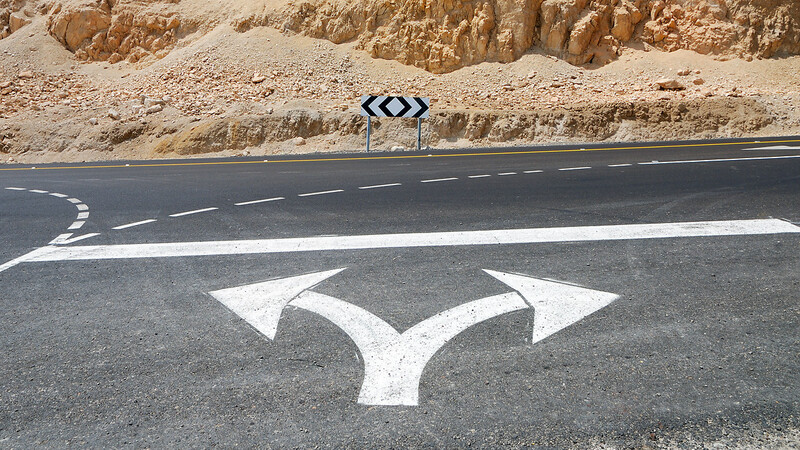 Or vice versa, though business can seem like science fiction sometimes. [AP]: Can you explain how business can seem like science fiction? [JB]: Well I was being sarcastic, but in the last thirty years or so, certainly some of the things I’ve seen managers in organizations ask for and some of the assumptions they’ve made have stretched the boundaries of reality and logic. It’s like some of them are living in an alternate reality. They’re the ones I’ve written most of my books for. Just look at any Dilbert cartoon and you’ll see what I mean. [AP]: Was being an author your first choice for a career path? 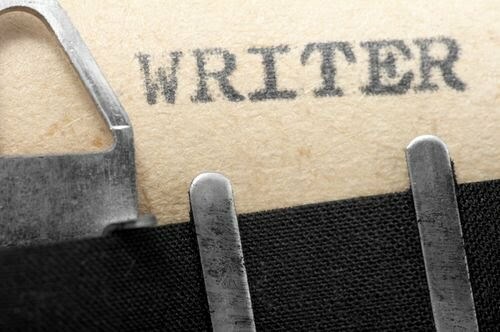 [JB]: Though I wrote short stories in my early teens, I never thought I’d end up a writer. I wrote management articles in my thirties, then wrote books when I realized that articles come and go. but books last longer. I got the writing bug for sure. But through it all, I’ve always studied the art of storytelling and filmmaking, reading extensively on both. Putting my writing hat on, I decided to write fiction, but even then, I approached it from a cinematic mindset. It took me a while to realize that writing novels is a different animal from writing a screenplay. You need to get much more inside the head of the character and reveal that to the reader, whereas film is a visual medium. [AP]: What are your favorite books? [JB]: Chris Vogler’s The Writer’s Journey, Blake Snyder’s Save the Cat, Stieg Larsson’s Millenium Trilogy (The Girl with the Dragon Tattoo series), the Sherlock Homes books, and anything by Michael Crichton or Ian Fleming. I’ve also been into a lot of Young Adult fiction, such as The Hunger Games series, Harry Potter, and the like. [AP]: Who are your favorite authors/writers? Why? [JB]: I’d say Michael Crichton and Ian Fleming, for two different reasons. I’ve always found Michael Crichton’s books to be based on fascinating premises, and they tend to read like movies. 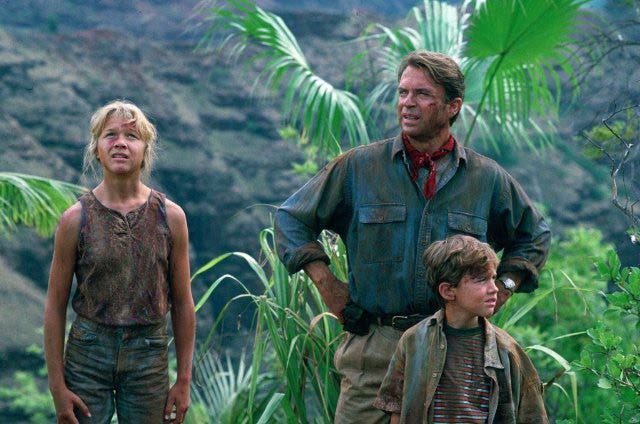 He was the literary equivalent of Steven Spielberg in that regard (it’s no surprise that Spielberg made Crichton’s Jurassic Park into a movie). I grew up reading Ian Fleming’s James Bond books. The writing was lean and to the point, and probably is the heaviest influence on my own writing style. I don’t have the patience to read through pages of flowery description and artistic flourishes that poetically paint a scene. I want to get to the main point, the key character elements or plot points that move the story forward, with just enough description so the reader can envision the scene. When Kirkus Reviews remarked positively on the straightforward writing style, I smiled, because that was my intent. I also enjoy books by Harlan Coben. Just as Crichton was the literary equivalent of Spielberg, I find many of Coben’s books to be reminiscent of Alfred Hitchcock, another hero of mine. Mario Puzo’s The Godfather was brilliant in its simplicity, its colorful dialogue (most of which made its way into the film), and its character relationships. From a pure storytelling and pacing standpoint, my two biggest influences come from the world of film—Spielberg and Hitchcock. If I can conjure the same feeling with my writing that they do in their films, realizing it’s a different medium, then I’ll feel I’ve done my job. One thing worth mentioning is, because my earliest influences were the James Bond and Sherlock Holmes books, I had to learn later in life about character arcs. For instance, if you look at characters like James Bond, Sherlock Holmes, Hannibal Lecter, Don Corleone, or Lisbeth Salander, they don’t really arc from beginning to end. And while Don Corleone doesn’t arc, Michael Corleone does significantly, starting out as a humble war hero and becoming the new Don by the end, and a ruthless one at that. The others I mentioned are basically the same character at the beginning of their stories as they are at the end. But they’re all very dynamic, and, for one reason or another, stand out. In most stories though, the characters must arc, where they begin with an inner problem they don’t know they have, and by the end they’ve resolved it through an emotional journey that usually coincides with their outer journey. For instance, in Jurassic Park, Alan Grant can’t stand kids at the beginning. Then, ironically, who does he end up having to save when the dinos go haywire? Kids! By the end, he learns that kids aren’t so bad. Plus it healed his relationship as well. In Casablanca, Rick Blaine sticks his neck out for nobody, and by the end, he’s risking his life for the “cause.” So I think your lead character needs to be quirky and memorable, or must arc, and ideally both. I wouldn’t have learned that if I didn’t evolve beyond my earliest influences, which were still amazing stories of course. That was a long way of saying, sometimes you need to evolve beyond your favorite authors in order to learn. [AP]: Those are some solid roots, but as a writer, what inspires you to start a new project? [JB]: I can go for a time between projects and then something jumps out at me, and I say to myself I MUST write that. It happens with nonfiction and fiction alike. Also, I tend to keep notes on hundreds of premises for stories. Every so often, one of them will jump out as compelling and unique, and if I can’t zero in on what I call the four key elements: the lead, the goal, the opposition, and the stakes, I put it aside. Sometimes it has all those elements, but isn’t unique enough or doesn’t generate that “Wow I HAVE to read that” response from people. Maybe I’m too picky, but if I’m going to spend time, I want the story to be unique and memorable, and really take people on a nice ride. I have a story I’m working on now that I think will do that. [AP]: What is the most productive/creative setting for you to accomplish your work? [JB]: I generally write in my home office. All my books are there, which I rely on for reference. 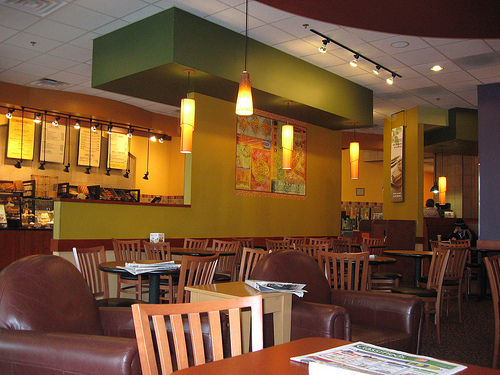 Some people suggested I should try working in a Starbucks or Panera. I’d probably find that too distracting. Maybe I’ll try it one day. I also generally need silence when I write. It’s funny, I love music, and if I’m driving in a car, listening to music helps me come up with story concepts and plot points, but while I’m actually writing I prefer silence. Most of my real breakthroughs come while I’m driving or in the shower, or doing something. I did read somewhere that motion helps with creativity, and I can certainly see evidence of that. [JB]: That’s a great question. Obviously I can’t make notes in my phone while I drive, though I’ve been known to pull over on occasion. I used to have a notebook in the glove box for that very reason. Then I discovered the voice recorder in my phone. I can just recite the idea into the voice recorder and write it down when I get home. I’d like to say I do that all the time, but in reality, I do sometimes make quick notes at a red light, and then I get some guy honking at me when the light turns green. This is a good reminder to go back to using the voice recorder, so thanks! [AP]: You’re welcome. So, when did you find your talent? Was it writing in school? If it was a learned skill, was there a class that really boosted your interest? [JB]: I think it all started in my tween and early teen years. I’d read comic books and watch movies. Then I started writing my own makeshift comic books. That led to writing short science fiction stories. I remember one story I wrote was about the first alien visit to Earth. Humans were making all sorts of preparations, and trying to figure the best case/worst case scenarios. In the end it turned out the aliens weren’t here to talk to us at all. The “real” intelligent life on Earth were plants. I wrote that when I was around 13, long before Star Trek 4 had aliens communicating with whales! My best friend’s father used to read my stories and mark them up with comments. Some were hysterical. I had one story set in the distant future, but he noted that I had the astronauts strapping themselves in with rope. On another story, I had people hiding behind a rock to protect themselves from a nuclear blast. Ah, the mind of a 13 year old! I must say, I learned quite a bit from a Junior High school course in creative writing. 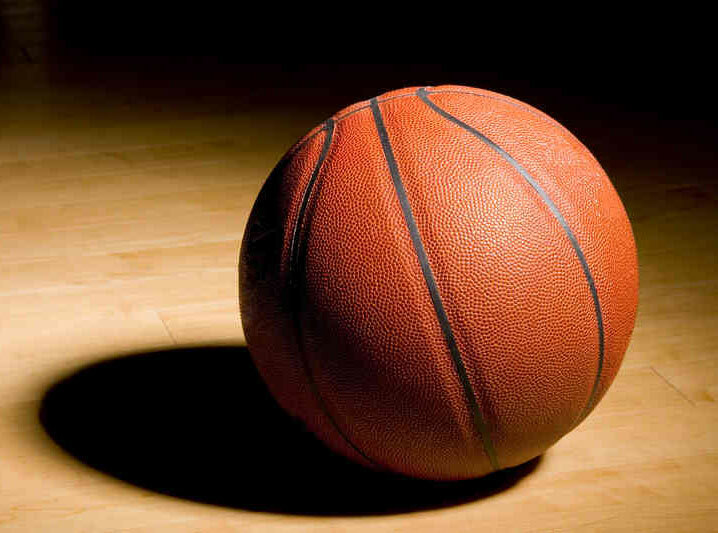 I remember getting an A for a short story I had to write from the perspective of a basketball (and no, it wasn’t Wilson from Tom Hanks’ Castaway). In more recent years, I learned an incredible amount from reading about various aspects of the writing process and from my editors. For my nonfiction books, I worked with Lori Lisi, an excellent editor who taught me quite a bit. And in the fiction arena, Paula Berinstein was a godsend. She hosted The Writing Show and had worked with the late Blake Snyder, whose Save the Cat books have been the bible for many a screenwriter. It was Paula who really elevated my knowledge of story structure and dialogue. [AP]: Have you ever dusted off the old stuff, to mine it for good ideas or even just to compare with how far you have come as a writer and storyteller? [JB]: I often look at old story ideas, and for sure there are nuggets I can use. Sometimes, with fresh eyes, I can see it in a new perspective and alter it as needed. For instance, long before The Kronos Interference, I had this half-written story outline about an alien ship that was discovered in the South Pacific. It was based on a real life U.S. Navy discovery of a sound wave that indicated a biological creature the size of three football fields. Nothing was ever found. 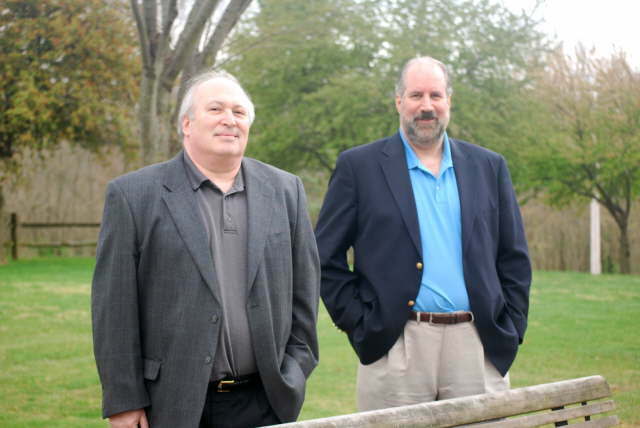 They code named it “the bloop.” You can even Google it and listen to it. But of course, I speculated in the story that something was indeed found and covered up, and it was very ancient. It was starting to sound a little too much like Michael Crichton’s Sphere, so I put it aside. When Ed ran an idea by me about a time-traveling scientist who goes back in history to kill Hitler, and the ripple effect that it caused, I liked the concept, but I had a couple of concerns initially. One was: How did he get this equipment, or is this a rehash of countless other “travel back in time to kill Hitler stories?” And second was, why on earth would anyone in their right mind risk all that could go wrong with changing the past, let alone a supposedly smart scientist? Then I mentioned to Ed about that partially written story I had about the discovery in the South Pacific, and that it could play into it somehow. The more we talked, the more we saw how the alleged alien ship and other surrounding events could be used to trigger both the means and the justification for this scientist’s time-traveling mission. I won’t say too much more as I don’t want to spoil the story for those who haven’t read it. But this was a case where old material was repurposed. As for writing, I think most writers and artists go back and look at their stuff and realize they can do things better now. Even with The Kronos Interference, I look back and there are things I’d do differently in terms of dialogue, character, or the climactic scenes. Ed and I have spoken about this quite a bit. But then we move on and focus on new stories. I learn new things every day, and the hope is to keep applying these lessons to new material. [AP]: As far as writing is concerned some people are naturally talented, while others learn it. Did you come by it naturally or was it learned from the school you attended? [JB]: I think in my case, it was always there as a natural talent. I was fortunate enough to eventually realize that my key strength was writing. But that didn’t happen until I was in my thirties, when I began writing articles about topics that interested me in the management world. Soon I was getting paid for those articles. At that time I had forgotten I used to write short stories as a child, so I guess I’ve come full circle. …no amount of natural talent alone can make someone a great writer. Still, no amount of natural talent alone can make someone a great writer. When I set about to write nonfiction books in earnest, I read a number of books on writing. 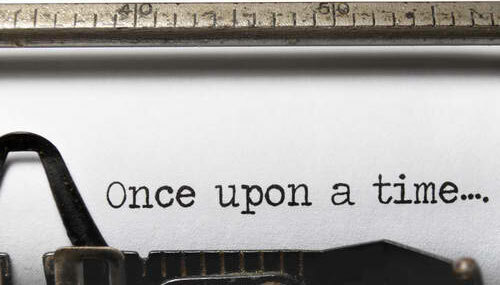 And when I knew I wanted to write fiction, I read countless books on various aspects of the writing process, including dialogue, character, conflict and suspense, plot, point-of-view and so on. And as mentioned, I’ve learned an immense amount from working with editors. I’ve since edited other people’s books as a service, but my time is limited for that these days. I always encourage new writers to read books on writing, to obtain test readers, and to get critiques and maybe join some writers groups. 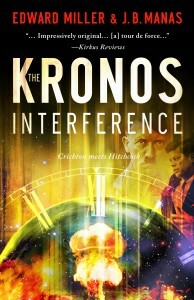 For The Kronos Interference, which was a time-travel thriller, I ran draft copies by people in a Goodreads Time Travel forum, and got some great candid feedback, so we were able to make edits prior to release. [AP]: Technology has changed how stories are told. What are your thoughts on storytelling as technology encroaches on actual writing, replacing it instead with podcasts and audiobooks? [JB]: Nowadays, Amazon’s ACX makes it very easy to turn a book into an audiobook. You can hire narrators and audio publishers for a percentage of the revenue, without laying out money. It’s a win-win scenario if they’re willing to do it. Or you can narrate yourself. We had an excellent narrator for the audiobook of The Kronos Interference, who was able to create voices for each character similar to the actors we had in mind for them. Even with that, technology is changing rapidly, I understand there are interactive books now, similar to “director’s comments” on DVDs and Blu-Rays. A reader can read a book online and information can pop up related to a character or a locale, or even a topic. It sounds like a lot of work putting it together, but could certainly enhance the reader experience. Whether it takes off or not, or is seen as a distraction, I’m not sure. In some aspects we may see the gamification of the storytelling industry. [AP]: Haven’t we already seen the gamification of storytelling with the “Choose your own adventure” series of books? And do you think we’ll see something similar or will it go in another direction with the technology we now have at hand? [JB]: Well it’s certainly being used for specific books, but whether it’s technology that will grow and become the norm, or if it’ll mostly serve a niche audience, that remains to be seen. I think there are a decent number of readers who just want to be immersed in reading a book and don’t want the interactivity or the distraction of looking things up. Sure those old VH1 popup videos were funny and informative, but sometimes you just want to watch a music video and get into the song. But, will every book one day have the “regular version” and the interactive version, or will interactive books one day be ubiquitous, I don’t see that happening in the next five years. Then again, we have lots of technology today that nobody would have predicted five years ago. If it does take off it’ll be the Young Adult market that drives that I think. [AP]: If you were not an author, what would have been your other career path, or what would you be doing now? [JB]: If I were in California, I’d probably be doing something in the film industry. As I mentioned, the whole process fascinates me. Living in Philadelphia, the closest I can get to that is writing fiction, plus it’s where my skills are probably best put to use. Writing comes natural to me. [AP]: What about the process of filmmaking fascinates you the most? Is it the organized chaos of having all those parts in motion and having it come out like it should? 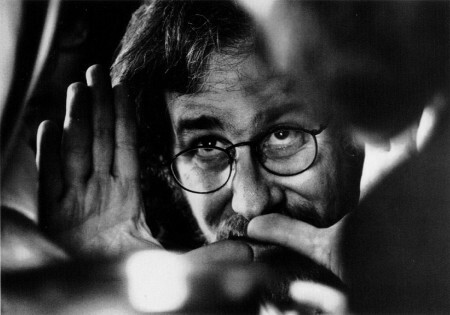 [JB]: I think it’s the whole creative process, that a director has a vision, the screenwriter has a brilliant script (ideally), that the actors bring the characters to life, the composer creates the emotional impact with the score, the cinematographer captures the director’s vision, the editors create magic, and so on. So yes, the idea that all of this comes together cohesively at the end just amazes me. [AP]: What hasn’t been checked off your bucket list? [JB]: Seeing one of my books made into a movie would be the ultimate bucket list item. I tend to “cast” my characters when I write, as it helps me envision their personalities, so it would be a real kick to see that on the big screen with the actual actors I envisioned. [AP]: You have the cast envisioned, but what about a director? Are you going to take that on? [JB]: Haha I’d love to one day, but I’d have a lot to learn about visual storytelling, though I should have an honorary degree in it for all I’ve read about Spielberg and Hitchcock. I’m also a big fan of a number of French directors. I do think about composers though! I think soundtrack is an underestimated part of the whole feel of a film. I’d love to have a film made of The Kronos Interference with a score by John Williams, Andrew Desplat, or Danny Elfman, for instance. As for cast, the Malcolm character was based on Morgan Freeman. Even for smaller characters I had certain actors in mind, the French actor Jean Reno as Jacques, Christoph Waltz as the creepy psychologist Muller, and so on. Ed and I would bat around the basic story, and I’d throw in these characters to round it out. For the Hitchockian suspense thriller I’m writing, I’ve been listening to Bernard Hermann’s soundtracks to North by Northwest and Vertigo as I flesh out the story. It helps! [AP]: If your daughter continues down the filmmaking path, would you ever think to ask her to direct one of your books on the screen? [JB]: If she makes it as a filmmaker one day, I most certainly would ask her. That would be a great inside connection! [AP]: We’ve talked about them a bit, what are your favorite movies? [JB]: Jaws, The Shawshank Redemption, Ben Hur, Casablanca, The Godfather, Jurassic Park, The Empire Strikes Back, The Avengers, Guardians of the Galaxy, The Day the Earth Stood Still (the original), North by Northwest, Vertigo, Rear Window (pretty much anything by Hitchcock or Spielberg), and the Sean Connery Bond movies. Also the French films Jean De Flourette and Manon of the Spring. [AP]: It is a conversation that happens all the time, but I have to ask is Sean Connery your favorite James Bond actor? 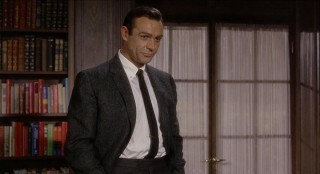 [JB]: Without a doubt, I think Sean Connery was the best Bond. He had the right mix of toughness, casual lightheartedness, and charisma that’s hard to pull off. I think Daniel Craig comes closest, and gradually is becoming more lighthearted to add that element back. I also thought George Lazenby was highly underrated, and could even be my second favorite behind Connery. Roger Moore was a bit too campy for my taste, Timothy Dalton a bit too serious, and Pierce Brosnan didn’t quite seem tough enough. I thought the best Bond performance Brosnan gave was in November Man or The Thomas Crown Affair. Clive Owen would make an excellent Bond as well, and was who I was hoping would get the part, but I’ve been pleasantly surprised with Daniel Craig. As you can see, I’ve given this topic a lot of thought! [AP]: As Bond would be, I understand you’re a member of the Association of Former Intelligence Officers? [AP]: What was it like being an intelligence officer, if you can talk about it? [JB]: If I told you I’d have to kill you. Seriously, while I’m indeed a member of the association, I was not in fact an intelligence officer (though I like to think I was intelligent). I was accepted into the association by virtue of my research and writing on intelligence matters in both the nonfiction and fiction arenas. I got the idea from another author of spy thrillers, who said it’s helped her add more realism to her stories and come up with unique ideas. It’s been a big help to me, in terms of getting the inside scoop on current events, intelligence lingo, and cultural matters. [AP]: So you weren’t out there as we read in spy and espionage novels? [JB]: Only in my mind. [AP]: Which means you don’t have any declassified stories to share? 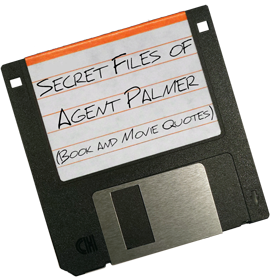 [JB]: Fortunately, all my stories are declassified. Except the one I’m working on now. I’ll declassify that when the plot is finalized. [AP]: Favorite ways to spend your free time (or hobbies)? [JB]: Well, some of my free time is spent on writing, but I love going to the movies or catching up on favorite TV shows, all of which I do with my family. 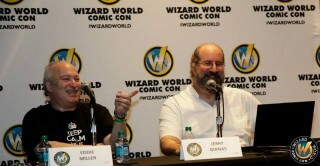 Also, I enjoy being part of the Comic Cons, talking to readers and other artists of all types. I’d say my passion, the storytelling process, IS my hobby, whether I’m writing, reading, or watching films and TV shows. And certainly socializing with friends is also important, so I’m always sure to make time for that no matter how busy things get. [AP]: What is it about storytelling that grabs you? Is it something primal from our oral histories and the “sitting ‘round the campfire” concepts we have heard about our past? [JB]: I think it’s a combination of things. Some people would watch sports games and say, “I want to be a baseball player,” or a “football player,” or so on. I, on the other hand, would watch movies, be moved by them, and admire the art. I’d see interviews with directors about how they framed the story, and I just knew it was what I wanted to be doing. So it started out as story “appreciation,” and that led to wanting to create. My natural talents always tended to lean toward writing and communicating, so it made a bit more sense to approach it from that angle versus, say, acting or cinematography, for example, though both fascinate me. As I think I mentioned, it was really films, more so than books, that got me interested in the storytelling process early on. 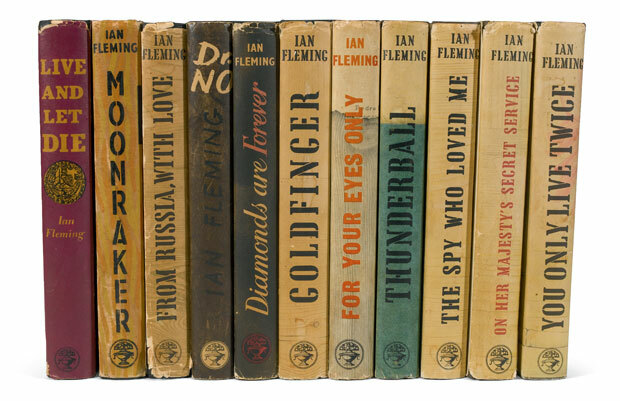 Aside from the Bond books and Holmes books, which I read as a teen, it wasn’t until later in life that I fully appreciated novels as an art form, and the depth and character “inner view” they had to offer. I think each medium—film and books—has their strengths and weaknesses, and it took me a bit to understand that they’re not the same and have to be approached differently. But I do think story structure is story structure, no matter the medium. The principles are the same. [AP]: As a Philly guy through and through, I assume you have a few sports allegiances? [JB]: I must say I favor all the Philly teams: The Phillies, Flyers, Eagles, and Sixers. I have a number of friends from Pittsburgh, so the Pittsburgh teams would probably be second. [AP]: When you’re catching up on TV what are your favorite shows? [JB]: Game of Thrones, Breaking Bad, The Walking Dead, Homeland, Sherlock, The Originals (I started watching with my daughter and got hooked). [AP]: You are a self-described “technology geek.” What are your favorite gadgets of all time? [JB]: Last year I bought a Samsung Galaxy Note 3 and I love it. Best piece of technology I ever owned. I always loved the film Our Man Flint. He had a cigarette lighter than could do virtually anything. That’s how I feel about this phone. I also like my Lenovo Yoga 2 laptop, which can be folded back into a tablet if needed. From a software perspective, I live on Evernote, and YouTube is an amazing way to learn about almost anything. Mindmapping software is great for brainstorming ideas. It’s incredible the things we’re able to do today. From a home theater perspective, I have an Epson front projector and a 10 foot screen, and with my Klipch reference speakers it’s like having a movie theater at home. Nowadays you can have an amazing movie theater experience for less than the price of a 60-inch flat screen TV. None of these may be considered fancy gadgets, but I find wonder in the basic technology that exists today. [JB]: I do miss the warmth of vinyl. I still think a vinyl album in perfect condition sounds better than anything I’ve heard digitally. The trick was keeping it from getting scratched. I don’t miss VHS. If it had a grave, I’d stomp on it. The bad quality, the rewinding, blah! [AP]: Moving from vinyl to music, what’s your favorite stuff? [JB]: The Beatles, Django Reinhardt (gypsy jazz), Pink Floyd, Christine Perri, Sia, Rimsky-Korsakov’s Scheherazade, Bernard Herrman’s and Miklos Rozsa’s soundtracks, etc. My tastes are very eclectic. I like everything from classic rock to old jazz to soundtracks, top 40, reggae, classical, show tunes, and alternative music. I also write songs and am a voting member of the National Academy of Recording Arts and Sciences (the Grammys), from when I had a music publishing company. 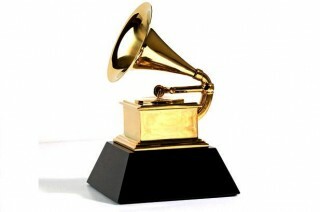 [AP]: What is it like to vote for the Grammys? Are you a voting member for life or is there a renew/registration process? [JB]: Well, as long as I pay my dues each year, it’s for life. I love staying involved in the process. As a voting member, I get to vote in the categories I’m comfortable with (which is quite a few categories actually), and I make it a point to listen to each of the songs in the category I’m voting for so I can give an honest assessment. I’m not sure all voters actually do that, but I try not to play favorites. It’s all controlled by an accounting firm, so I get the ballot, listen to sample material (which they make available online for voters), mark my votes, and submit it back. I get an invitation to the Grammys each year. My daughter has been begging me to go. One of these years we’ll make a trip out of it. It was easier when they were in New York and a train ride away! [AP]: We’ve spoken about writing, movies and music, what about art? What art moves you? [JB]: I used to be more into impressionism and surrealism, but these days my tastes have run more toward realism. [AP]: What is your favorite piece of art? And do you wish you could have the ability to create such art with a paintbrush instead of with words? 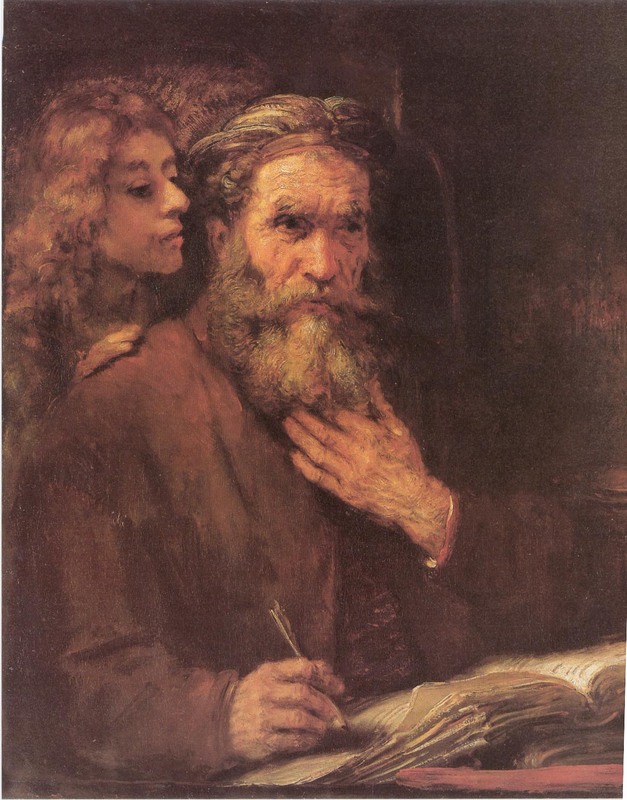 [JB]: One of my favorite works of art is a 17th century painting by Rembrandt called “Saint Matthew and the Angel.” It’s so simple, an angelic woman innocently – or is it seductively – whispering in the ear of Saint Matthew as an old man. But the pose and the facial expressions beg further exploration. I like paintings that make you think and lead you to wonder what’s going on. But I also look at modern realism painters and I’m just blown away at the way they capture life, the textures, colors, and essence. I wish I could do that, but if I can create such realism or wonder with my writing, then I’ll know I’m being successful as an artist. [AP]: I understand that you are a traveler… What are your favorite places to travel? [JB]: In addition to domestic travel, I travel each year to Europe, which I always love. I love various aspects of each country, but certainly London, the English countryside, Scotland, Paris, Dijon, the French Alps, Alsace, and many parts of Germany are all beautiful. Portugal and Madeira also have wonderful and unique qualities. One especially unique country I had the pleasure of visiting was Iceland. The terrain is magical and the people are fascinating. I was on National TV there when I was in the country speaking at a large government event about the rebuilding of their country after the economic crash. In general, I try to incorporate some of the locales I’ve visited into my stories. [AP]: Is there a place in the world you would like to settle down? Philadelphia may be home, but is there somewhere else you’d like to settle? [JB]: If I were to move anywhere, it would probably be someplace warmer. Some people say they’d miss the seasons. I wouldn’t. I could look at pictures of snow and colorful fall leaves from my warm tropical home and be quite content. 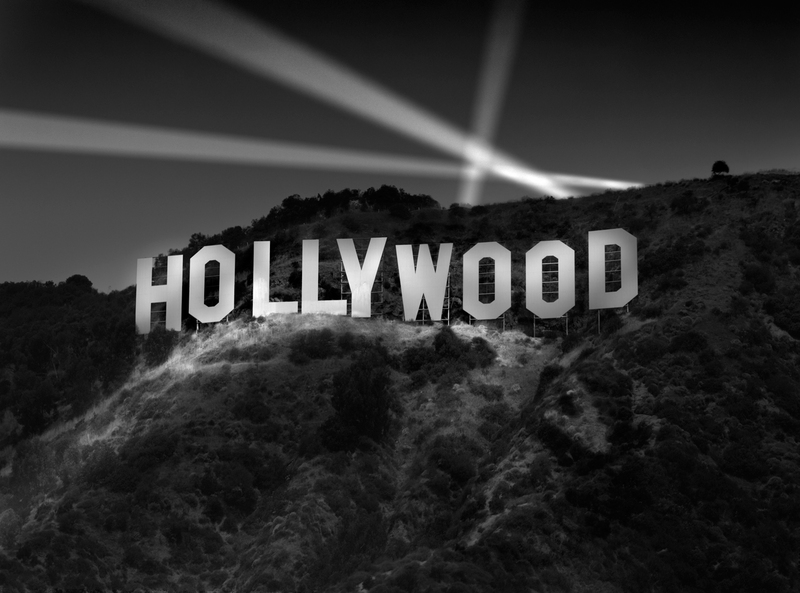 Mainly because of the filmmaking and entertainment culture, Southern California would be ideal except for the Earthquakes. I’d have to get a job as a balloon salesman if I moved out there. [AP]: And you’re a history buff, too. Do you have a particular favorite period of history that enthralls you? [JB]: Certainly the Napoleonic period and Roman periods because of all the research I had done for my books on those subjects. It fascinates me how much knowledge and technology has vanished from ancient times to now. We’re probably still catching up to the ancient world in many aspects. For instance, I wondered why it was that the Romans had flushing toilets, sewers, and water tax systems, when films and books that took place in the 1800s showed the British using chamber pots. Well, that’s because during the dark ages after the fall of Rome, all technology was forbidden. The toilet was literally reinvented five times, dating back to the ancient Chinese. Not refined, but reinvented from scratch! There really is nothing new under the sun. Cyrus the Great also interests me as the only leader in history to be equally revered by the Jews, the Christians, and the Muslims. Ancient history in general fascinates me, especially the Sumerians, who are about the closest we can get to learning about our origins. [AP]: Is there something specific that you’re trying to learn about our origins, by looking into history or is it just a “where do we come from” perspective? [JB]: Well I’d like to find out why we have eyebrows. No, I’m kidding about that. I’m just fascinated with the idea that these ancient civilizations might have been privy to some knowledge, technology, or spirituality that is generally lost today. How did they know so much about our solar system and the movement of the Earth? Maybe I watched too many episode of Ancient Aliens, but the many possibilities are interesting to ponder. I’m sure I’ll incorporate that in a story one day. [AP]: I like to think of myself as a “renaissance man” as well, how do you manage the music and writing, along with all of your other interests and passions? [JB]: I do have quite a few interests! I can only focus on one thing at a time though. Right now, that’s writing. So the music and art tends to take a back seat. Playing guitar once in a while is just a relaxing hobby that doesn’t interfere with anything, but if I were to get back into songwriting or art for instance, it would have to be between writing projects. [AP]: Do you find that one falls off, when another takes precedence? Is it seasonal or cyclical in any way? [JB]: Absolutely. I would say my primary creative outlet has evolved to become writing. The only time I dabble in music or art these days is in between writing projects, and even then I’m usually focused on coming up with my next story idea. [AP]: How well do you manage your time? And how do you or don’t you manage it? [JB]: I’m pretty good about managing my time. I have to be. I’ve been in management consulting for years, and have written 4 books and co-authored two others. All had to be completed on deadline. In each case, two things keep me on track. First, when I’m on a book project, I spend about two hours twice a week at night, and at least four hours over the weekend writing. 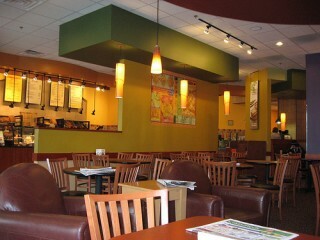 Other nights, I spend a half hour here or there, or I spent time reading to get ideas. Second, I always like to have milestones and a deadline as I mentioned. The author Napoleon Hill said, “A goal is a dream with a deadline.” Similar to that, Thomas Edison said, “Vision without execution is hallucination.” So really it’s all about putting a plan in place as to how much time it takes you to write a page on average, how much time you’ll need to allocate, and when you need to have the manuscript ready by. I also allow time for multiple passes of editing. [JB]: I would say figure out how long it typically takes you to write a chapter. Set some reasonable milestones and a deadline, and allow plenty time for editing, whether you do your editing chapter by chapter or at the end. I do both. 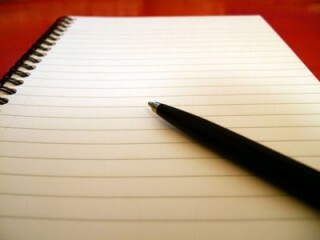 Whenever I sit down to write, I review what I wrote the day before. Without fail, I always end up making changes. So budget for this time. Also, this is one of the best tips I’ve ever received. When you’re finished your final manuscript, and you’ve done multiple rounds of editing, and you feel you have the perfect manuscript that agents will absolutely go nuts over, DON’T SEND IT! Put it aside for a few weeks to a month, as hard as that sounds. Then, and only then, will you be able to read it with fresh eyes. I can almost guarantee you’ll see lots of final changes you’ll want to make. This is a good time for test readers to check it out as well. [AP]: Best piece of advice you’ve ever been given. [JB]: The best advice was probably to not be afraid to rewrite. When starting out, I would finish a manuscript and breathe a big sigh of relief that I was done. Now I finish a manuscript, and a rub my hands together and say, “Ah, now it begins.” I actually enjoy the editing process. Related to that, the rewriting process is a lot simpler if you start your story with a good foundation to begin with. So along with rewriting, I’d say it’s equally important to first have a good foundation of a story, and at least a high level outline. [JB]: The best advice I can offer is that before you set pen to paper (or finger to keyboard) on an actual manuscript, first come up with a story description that clearly delineates those four elements I mentioned earlier: your distinctive and unique lead character, the goal that he or she is after (external, internal or both), the opposition (whether it’s an antagonist or some other opposing force), and the stakes. After all, if the lead character has to achieve a goal, and there’s someone or something standing in the way of that goal, what good is it to overcome that obstacle unless the lead character stands something personal to lose. If we care about the lead character’s stakes, then we’ll care whether he or she reaches the goal. That’s the difference between a ho hum story and one that readers will feel vested in. I hear a lot of people say they have a great idea, and until it has those elements, that’s all it is is an idea, not yet a story. For example, in Jaws, Chief Brody needed to stop the shark from attacking his town’s beachgoers. For the first half of the film, the primary opposing force was the mayor who wanted to keep the beaches open. The mayor represented the human opposition, creating more conflict. The stakes were raised when Brody’s son almost gets eaten. That made it personal. In the second half, once the mayor was “defeated,” the Shark was the main opposing force, and the stakes were a matter of survival or death. [AP]: Professionally or in your side projects, what are some of your big successes, public or behind-the-scenes? [JB]: I’ve been fortunate to have had good success in the business field with my books, speaking engagements, media coverage, and top name endorsements. The thrill for me is being able to carry that over to the world of fiction. 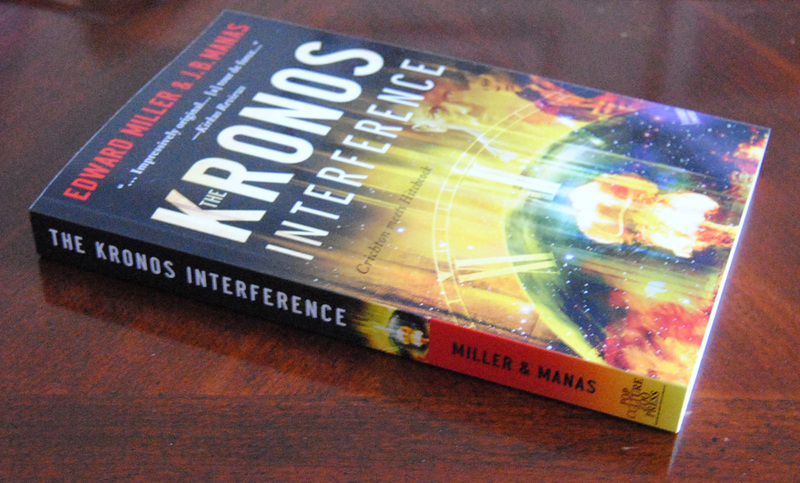 What I’m especially proud of is that the prestigious Kirkus Reviews, known for their stinginess with giving good reviews, singled out my Napoleon book as a highlight, and also gave my debut novel with Ed Miller, The Kronos Interference, a starred review. In addition, they named the book to their Best of 2012, among the top 100 Indie books that year. Another key highlight was this year at Philly Comic Con, where Ed and I conducted a workshop on writing compelling science fiction. We had a packed house, and lots of great interaction, and they’ve invited us back to speak as often as we like. As many business presentations I’ve done at seminars and expos worldwide, this was especially a big thrill. 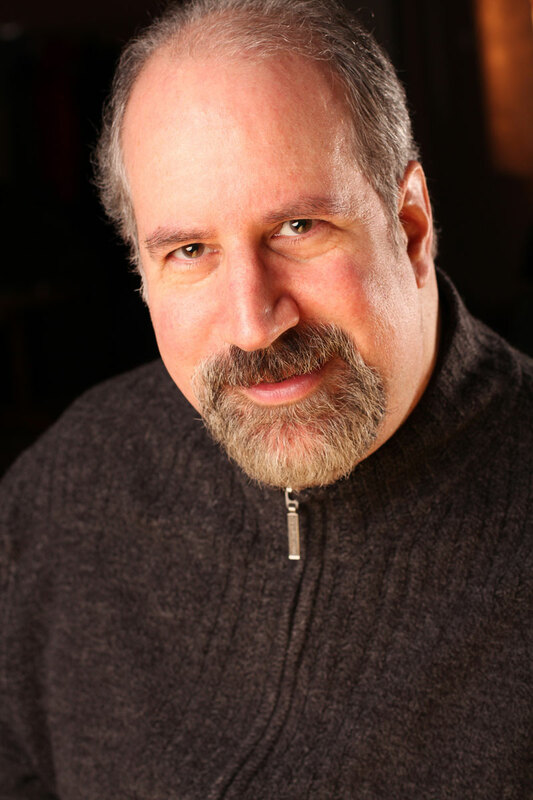 More recently, I signed a contract with a top literary agent, Al Zuckerman, known for his work with Ken Follett and Nora Roberts, among others. I’ve learned quite a bit from Al, and have been using his advice to fine-tune my latest outline. I figure if his advice is good enough for Ken Follett, it’s good enough for me. Ed, meanwhile, prefers the indie route for now, and I’m sure we’ll continue to do books together periodically as well. [AP]: What can you tell us about any upcoming projects? [JB]: Well, as mentioned, there’s the Hitchcockian suspense thriller I’m working on. I’m still fine-tuning some specific plot elements, but I can share very generically that it involves a female lead that gets inadvertently involved in an international crime, and is forced to match wits with a memorable and dangerous villain in order to stay alive. I can say that the story will take readers into the world of the paparazzi and Hollywood, and will take place in various international locales. 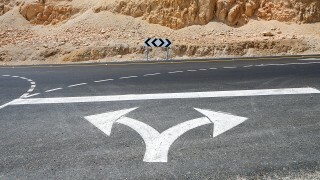 As usual with my stories, there will be a few twists and turns. Fans of Hitchcock will certainly recognize some of the motifs I’ll be using. Soon I’ll be able to share a more specific summary, so I’m being intentionally vague here for now. At some point, I want to also work on a sequel to The Kronos Interference with Ed. We have most of it outlined already, but we each have projects we’re working on first. Hopefully the wait will be worth it to fans of the first book. [AP]: Well, I thoroughly enjoyed the first book and can’t wait for the next installment. But I must ask, what is it like to co-author a book? [JB]: Glad you enjoyed it! I think there are plusses and minuses to any collaborative venture. On the plus side, each author brings a different perspective to the table, and a wealth of life experiences to draw upon. Also, it’s great to be able to share successes and collaborate on ideas. Writing can be a lonely venture sometimes and having someone to bounce ideas back and forth can be a real blessing. On the flip side, any creative team will run into conflicts. Then you run the risk of compromising on a middle ground that may not be best for the story creatively. But if you have a model for resolving those differences, where both parties need to agree on the chosen solution, it can work well. It really takes trust and mutual respect. Fortunately, Ed and I are good friends, so we made it through without killing each other. Overall the benefits outweighed any debates we had, and trust me, we had plenty of debates. But that’s just part of the creative process, and sometimes those debates lead to a better book overall. I went to elementary school with Ed’s wife, and we got back in touch a number of years ago a reunion. That’s when I met Ed and we talked about our writing ventures. Now we all get together practically weekly, and it’s like an extended family. Ed and I can have creative differences and still write together, and through it all we remain dear friends. I think we each bring something different to the table when we do work together, which is good. But it’s also important that we each exercise our own creativity individually as well. [AP]: What was something in the finished product you had to fight for and is there anything in it you fought against? [JB]: There were a number of things. Here’s an example of something I argued against. Ed wanted an opening originally that took place in a cemetery, with Jacob talking quietly to his deceased grandfather, also a renowned scientist, about his discovery of a possible alien ship. I felt it was too early for a scene like that, plus I was afraid cemetery openings had become a cliché. In addition, I said, “Who seriously talks out loud at a cemetery?” Maybe people do, I haven’t seen it. But in the end, we agreed to have the scene, but altered and much later in the story, where it made more sense because the reader by then knew the characters involved. Another area we debated quite a bit on, and I think I mentioned this earlier, was that I was concerned that an otherwise brilliant scientist, regardless of whatever personal feelings he had, would actually risk traveling back in time to kill Hitler, and risk all the potential repercussions that could follow. Ed wasn’t as concerned about that. He felt if the scientist had experienced personal loss dating back to the Holocaust, then that would have been justification alone. I still wasn’t quite sold that Jacob wouldn’t consider the potential ripple effect. In the end, we came up with a pretty good plan that led to Jacob believing he had no choice but to undertake the act. He had pretty strong evidence that he was somehow being led to do it to head off an alien judgment day against humanity. In other words, it was a desperate move, but a well thought out, conscious judgment call, rather than an emotional loss of reason. We see Jacob wrestling with the decision, and in the end he felt the risk of not doing anything was worse. It was a real moral dilemma, the first of several we pose in the book. I won’t reveal too much as I don’t want to spoil it for people. [AP]: Thank you for your time. Having been thoroughly interrogated, is there anything else you would like to add, or do you just want the bright light turned off? [JB]: The light isn’t too bad on my eyes, but the hot poker is getting a bit toasty. I’d just like to add that I think so many people have a book in them, it’s just a matter of reading and learning about the various aspects of writing, but then just digging in and doing it. Often the only difference between the ones that published (or self-published) a book and the ones that didn’t, is that the former threw caution to the wind and gave it a try. 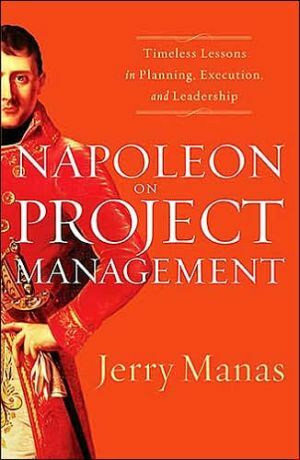 J.B. “Jerry” Manas is a completely engaging renaissance man. He is knowledgeable and well-versed in many things and we both happen to agree on just who the best Bond is. For more on this jack of all trades, you can visit his websites jbmanas.com or millerandmanas.wordpress.com. You can also hit him up on facebook with Edward, who has previously been interrogated, on their Miller and Manas page or on his own JBManas page, or just badger him on twitter @jb_manas.